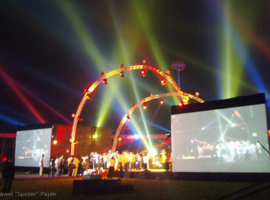 For a Warid Telecom event in the Republic of the Congo, A&O Technology recently supplied a variety of equipment from the FALCON range, which is manufactured by alpha one. 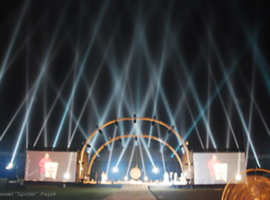 In January of this year, the international telecommunications supplier from Abu Dhabi established a new provider in the African republic and it was for the official launch in the Congo’s Brazzaville Stadium of this subsidiary that the equipment was needed. 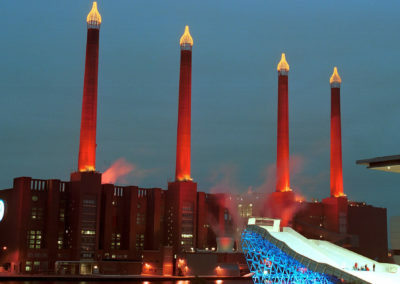 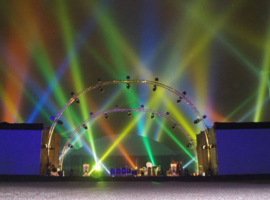 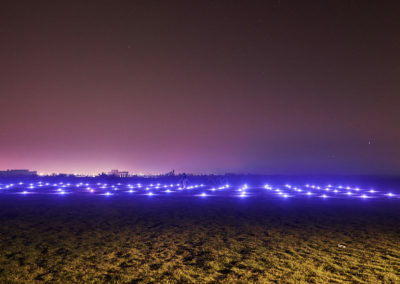 In addition to FALCON BEAM 3 kW and FALCON BEAM 7 kW luminaires, the architectural lighting system SKY FALCON ARC colour 1.2 kW was employed for the occasion. 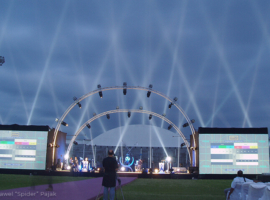 Whilst a crane was used to position the FALCON BEAM luminaires at strategic positions in the stands, on the playing field and at the entrance to the stadium, A&O employees used the SKY FALCON luminaires to bathe the rows of spectators in different colours. 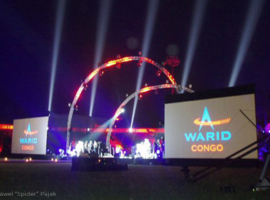 The lighting design for the Warid Congo launch was the work of lighting designer Pawel “Spider” Pajak. 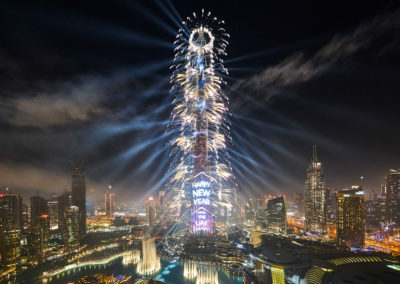 The event, which was televised live on Congolese television, was attended by the Congolese President, Denis Sassou-Nguesso, and the Chairman of Warid Telecom, Sheikh Nahyan Bin Mubarak Al Nahyan of the United Arab Emirates.